Four strobes for the digital enthusiast. Choose the features you need including auto exposure and modelling lights. angle lenses for shooting large subjects. 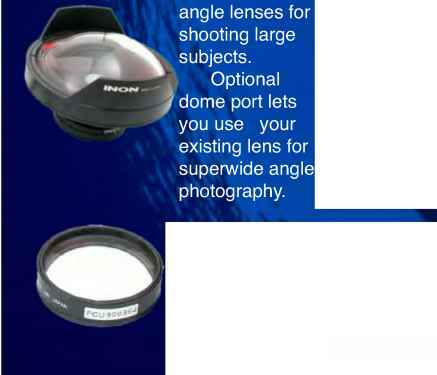 Optional / dome port lets you use your existing lens for superwide angle photography. EZ clamps hold strobe securely in high current, yet provide instant adjustment for creativity. Four macro lenses put extreme close up photography within your capabilities. Available in screw thread or fast mount bayonet fit. Three of Grand Cayman's top dive operators, have joined up with Dive Chronicles Magazine to offer an exclusive week of digital photography with over $20,000 in prizes to be awarded! Plus we're talking world class diving here, with awesome photo opportunities and diving especially geared towards photography Clinics for your images and talks on digital photographic techniques will be held at each of the participating properties during the week, with an Awards cocktail party on Friday Evening on January 28th, 2005. UWP Contributor, Dr Alex Mustard will be hosting Digital Jam at Compass Point/Ocean Frontiers to offer interactive workshops. Alex said "This is going to be a great event! I am so pleased that I am based at the East End, where the island's best diving is! Digital Jam is not a photo-class. I will not be telling people that they must use this lens, this aperture and only photograph this sponge. It is about organizing diving specifically to help photographers get the images they want. I will be giving three lectures during the week to fill photographers with both the ideas and theory that they need to experiment and create exciting images." all the secrets behind his images. And don't forget that Alex is also a marine biologist, and his unique insight into Grand Cayman's marine life will be a great benefit to all the participants in the Digital Jam. If you are interested in participating in Digital Jam please contact Ocean Frontiers as soon as possible, there are a few spaces left. The Oregon Coast Digital Center is an enhanced learning center featuring in-depth digital classes. Jack and Sue Drafahl have taken their 30 years of photographic experience and designed a work environment to help students better understand the digital realm. 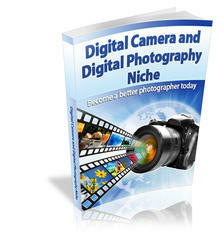 They provide personalized instruction on digital editing and specialized digital photography topics. Through personalized attention during an intense three day workshop, the specific needs and goals of each student is addressed. At the Digital Center, their goal is to work directly with each student on their own images, instilling proper editing techniques so they will feel competent in their efforts when they return home. The Oregon Coast Digital Center is located in the quiet community of Cape Meares, just outside Tillamook, Oregon and about 70 miles due west of Portland. The facility itself is within walking distance of the Pacific Ocean which makes it great for beachcombing. Aquanauts Grenada dive center is just steps from the rooms at True Blue Bay Resort and fully operational with two large dive boats, nitrox fill station, digital photo studio, plenty of room for guest equipment and a large amount of rental gear. Aquanauts also offers free shuttle services from hotels around the Grand Anse area. Fortunately Grenada's dive sites were not effected by the storm and experienced divers might explore the wreck of the cruise liner "Bianca C" or of the mine sweeper "King Mitch", while beginners enjoy the beauty of such dive sites as "Veronica" or "Japanese Garden". The Deep, Hull's £45.5m Millennium Commission lottery project, is hosting an exhibition of underwater photography by Linda Pitkin. This exhibition will feature a selection of her stunning images of marine animals and scenes from tropical and temperate waters around the world. Linda Pitkin is an internationally acclaimed underwater photographer and was included in the Women Divers Hall of Fame in 2003. The exhibition is free of charge, open daily 10am - 6pm from January 10th to April 2005, and is located around the third floor café and Observatory Cafe of The Deep. Linda's exhibition pictures are being made by the Giclée method, renowned for superior quality, intensity of colour, and longevity. Signed and numbered editions of these fine art prints will be available to order at The Deep or by contacting Linda Pitkin. Ocean Optics is proud to announce that their very own Dan Beecham has won the Our World-Underwater Young Underwater Photographer Award at the prestigious Antibes International Underwater Film Festival. The monetary Award, sponsored by Rolex, has been awarded to Dan to gain experience and broaden his understanding of underwater image making. Dan told UwP "I was cage diving in Gansbaii, South Africa with André Hartman when I took the picture. At this stage of my trip I had been in South Africa for three weeks. 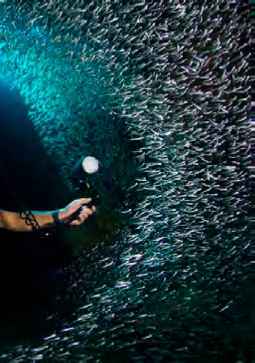 Previously I had been diving, or at least trying to dive, the Sardine Run. When I arrived in Gansbaii, a few days after leaving the Run, the conditions around Dyer Island were ideal, with visibility over ten meters. This really made up for the bad luck on the Sardine Run. I took many pictures, both on film and digital, making the most of the short window of opportunity. This was the image I was most pleased with. I like the feeling of movement and how the shark looks like its just burst out of the gloom, jaws agape, with fish fleeing in all directions. The photograph was taken on a Fuji S2, with the Nikkor 10.5 mm lens, inside a Subal housing. Originally the image was colour and was framed in landscape, not portrait. I turned the image black and white as the colours were very muted, and cropped out a lot of the empty space surrounding the shark, a few alterations to contrast and brightness produced the final image." First ever 'Shoot-Out1 competition with Eco Divers and Asian Diver! In 2005, you are invited to rub shoulders with some of the world's top photographers by taking part in the first ever 'Shoot-Out' competition of its kind. Eco Divers is the first company to host Asian Diver's 'Shoot-Out' competition, to be held at Tasik Ria Resort in Manado for diving Bunaken or Kungkungan Bay Resort, Lembeh. You don't have to dive both resorts to enter, just book in for a one (or two! )-week stay and use the stunning underwater vistas and marine life to shoot some of the best shots of your life! Eco Divers' Rod Klein, resident digital photo professional and resident photo professionals, Cary Yanny and Steve Coverdale will be on-hand to offer advice and assistance. At the end of each week, your results are presented to a panel of judges to win a myriad of prizes - and critical acclaim. 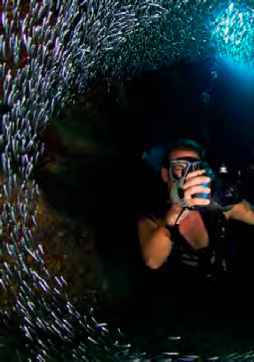 As well as giving you the chance to make your mark in the world of underwater photography, this is also a great opportunity to dive one or both resorts and experience two very different worlds of diving in Bunaken and the Lembeh Strait. On this trip, Jim will share his amazing imagery of sharks and dolphins and discuss his perfected technique of approaching animals and controlling background exposure, strobe lighting, as well as his preferred gear configuration. This expedition will be a great opportunity to learn, shoot, and dive with a master photographer. 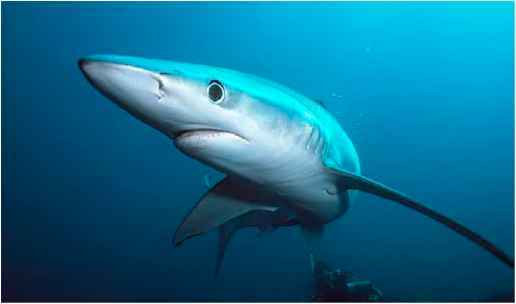 The Underwater Images Photo and Video Competition is now accepting entries for the 2005 contest. 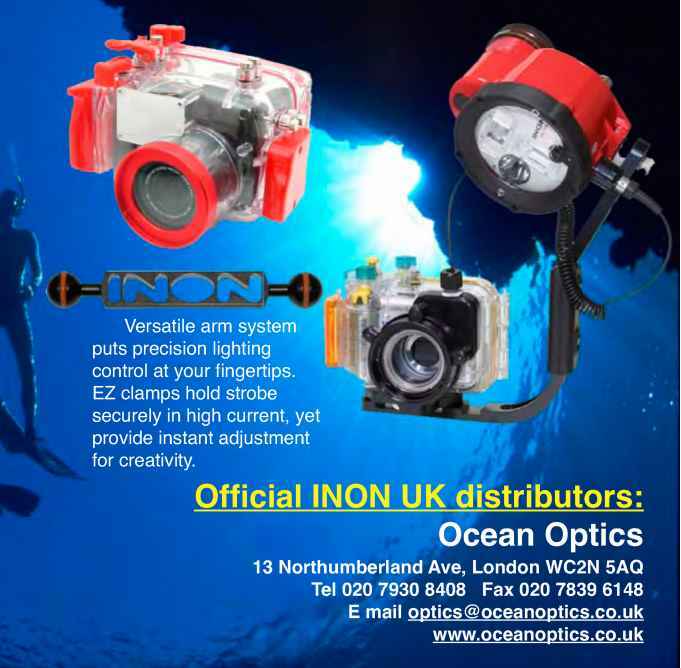 The competition is open to amateur underwater photographers worldwide. Entries can be submitted until February 1, 2005. Winners will be announced at Scubafest 2005 in Columbus, Ohio, USA on March 12, 2005. Entries from Ohio will also be entered in a separate local Ohio Category with separate prizes, in addition to the international competition entry. Some of this year's prizes include dive travel on liveaboards in Papua New Guinea, the Solomon Islands, Belize, and the Bahamas; Land based dive trips in the Honduras Bay Islands, Hawaii, Grand Cayman, Cayman Brae, Provo, PNG, and Sipadan. Equipment prizes includes photo and video equipment, Dive equipment, books, software, marine jewelry. Don't miss your chance to be a winner of these great prizes. Charles's knowledge and experience. Everyone knows how frustrating it can be to leave a spectacular dive site without the possibility of returning not a problem you will encounter on this expedition.